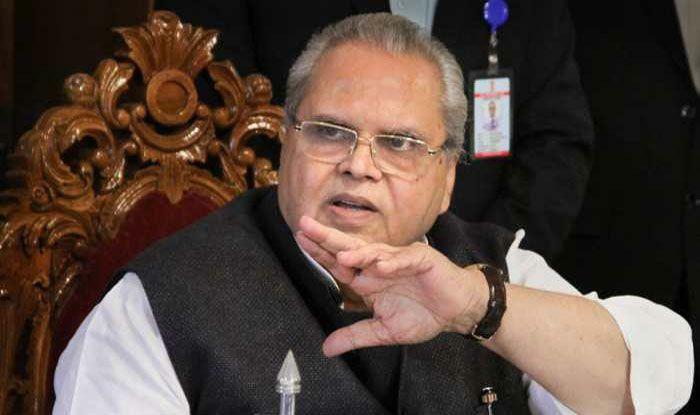 Jammu: Jammu and Kashmir Governor Satya Pal Malik underscored the importance of student unions in providing an apt platform for students to develop their personality and confidence. The Governor said this during the 25th Annual Day celebration of All Ladakh Student Welfare Association, Jammu (ALSWAJ). "These (students unions) provide an apt platform for students to develop their personality and confidence" Malik said while quoting examples of various student unions which produced great leaders for the country. The Governor congratulated the ALSWAJ on the occasion of its 25th Annual Day and observed that he cherishes participating in functions of student unions and associations as they remind him of his years as a college student and his experiences as a student leader. Observing that only those countries reach the pinnacle of progress which give considerable attention to their education system, the Governor stressed the need for bringing far reaching changes in the prevalent education system in the country and improve the quality of research. He appreciated the efforts of acclaimed innovator and educationist Sonam Wangchuk, who is working towards bringing reforms in the education system by promoting experiential learning via practical application of knowledge. The Governor noted that education brings empowerment and is the "only tool that could lead a person to achieve his dreams irrespective of his background". He urged the young generation to participate in curricular and extracurricular activities for their holistic development. The Governor assured the ALSWAJ that all the demands submitted by the union relating to construction and upgradation of hostels, facilitating economical air fares to Ladakh, expediting construction of Zojila Tunnel and Z Morh, etc will be duly addressed.